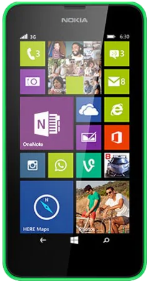 The Nokia Lumia 630 is a device with a 4.5-inch IPS LCD display with a resolution of 854x480. The phone is powered by a 1.2GHz Quad-Core Qualcomm Snapdragon 400 processor with 512 MB of RAM and 8GB internal storage. There is a microSD card slot for up to 128GB memory expansion. The device has a 5-megapixel sensor and 720p HD video recorder. 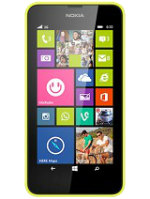 It includes a 1830mAh removable battery that can last up to 13 hours of talk time. 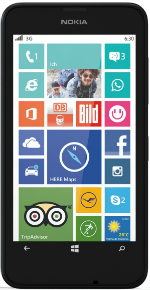 The phone runs on Windows Phone 8.1 upon release.